Want more horsepower without the hassle and expense of going direct port? 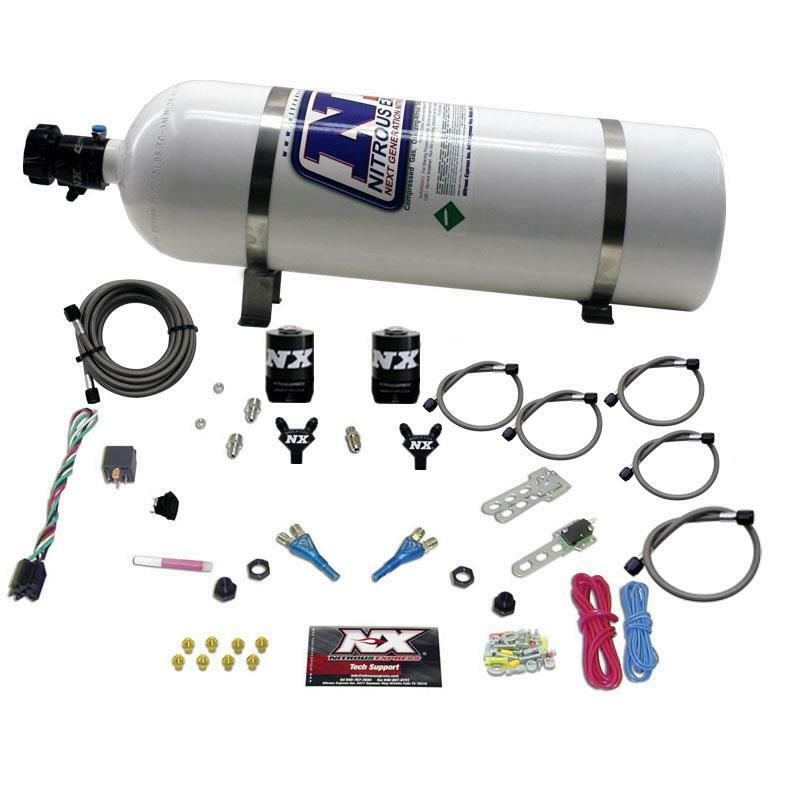 Then the NX Dual Stage Nitrous systems are the way to go. Having two stages means you double your power options at the click of a switch. The dual “Shark” nozzles give adjustability from 50 to 300 wheel horsepower in 25hp increments. Systems come complete with your choice of 5lb, 10lb, 15lb, or 12lb composite N2O bottle, stainless bottle bracket, limited lifetime replacement solenoids, extra long stainless braided N2O line, and all necessary hardware to complete the installation.